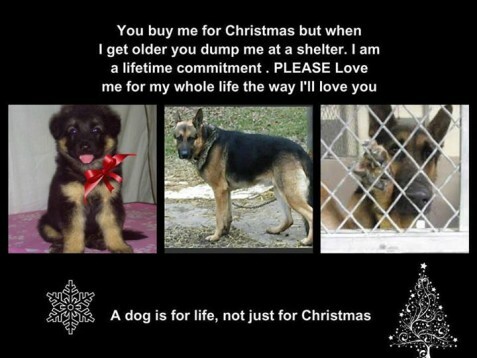 A Dog is for life, not just for Christmas: You buy me for Christmas but when I get older you dump me at the shelter. I am a lifetime commitment. PLEASE Love me for my whole life the way I love you.